Together with ARhus, Namahn devised several innovative applications and services. The library is accessible to and offers something for every age group. High-tech spaces expose visitors to cutting edge technology, while coaches and digital touch points offer personalised information to support life-wide and informal learning. ARhus wanted the merged library to be more than the sum of its parts, and to be more than just a library. 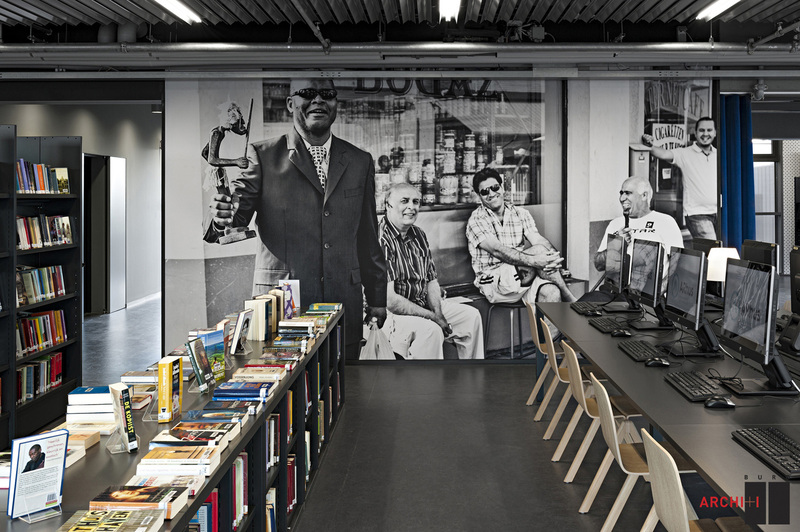 The design should not only make the library’s content of books, games and films available in a new way, but also develop new approaches to learning and position the library as a hub for innovation. ARhus asked Namahn to identify specific applications that it could develop as well as the requisite software and hardware. Given the diversity of ARhus’ audience, Namahn conducted interviews with a broad range of stakeholders including politicians, educators and those who no longer used the library’s services. To clarify the audience’s attributes and needs, Namahn developed detailed personas. User scenarios were developed using very accessible comic-strip style storyboards. To help ARhus plan the implementation, we also developed a detailed roadmap for every touchpoint that identified the profile needed (marketing manager, community manager, systems manager, etc. ), the required software and hardware, and any external constraints or required inputs. ARhus benefited both from the creative ideas generated for new applications and services and from the detailed roadmap that facilitated its planning. The new building was completed in 2014.